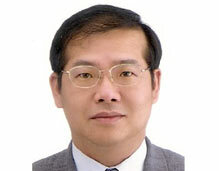 Dr. Shen is currently assistant professor, Department of Strategic Studies, War College, National Defense University, ROC Taiwan, from Feb 2006. He also is adjunct assistant Professor of the International Affairs and Strategic Studies Graduate School,Tamkang University, Taiwan and teaching in the Department of Political Science, Fu Hsin Kang College, National Defense University, ROC, Taiwan. His advicer of doctoral dissertation is Dr. Chong-Pin Lin. 60 plus articles on Journals from 1994.